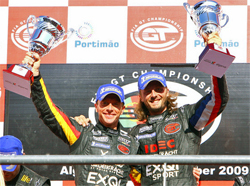 The sixth round of the 2009 FIA GT European Championship Series took place at the new Autodromo Internacional Algarve Circuit in Portimao, Portugal. Nearly 40,000 spectators watched the No. 3 SRT Corvette Z06 of Bert Longin and James Ruffier take their first win of the season. They crossed the finish line 33 seconds ahead of the No. 4 Pekaracing Corvette. Ruffier and Longin had a good pace throughout most of the race despite one scare. Ruffiler developed a problem with one of his wheels. His radio was broken and there was no way to communicate the issue to his crew. When he was finally able to pit, the crew worked fast and they were able to regain the lost time in the pit area. 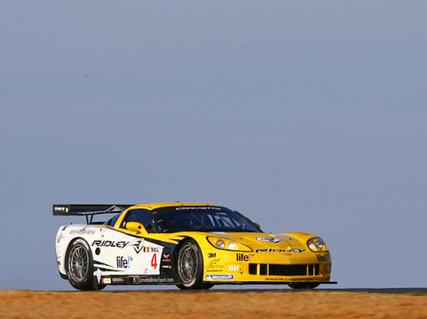 A top three Corvette podium looked possible late in the race. 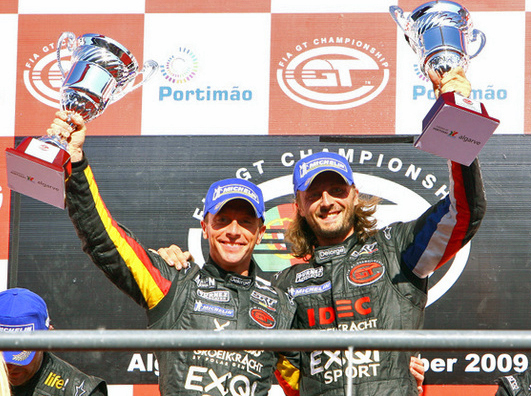 But Maserati driver Alex Muller passed the third GT1 Corvette in the running with only two rounds left in the race. The seventh round of the 2009 FIA GT European Championship Series takes place in France on October 4.